For years, supporters have called upon the British government to issue a posthumous pardon. 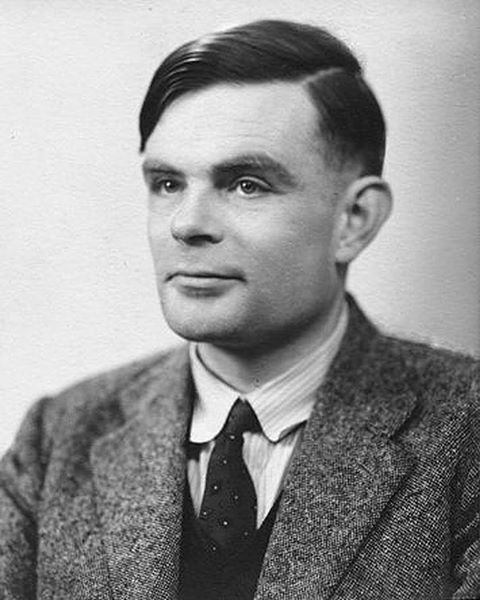 And while British Prime Minister Gordon Brown apologized in 2010 for "the appalling way [Turing] was treated," members of the House of Lords resisted issuing an actual pardon as recently as last year. But, according to The Guardian, legislators are prepared to pass a new bill as early as this October. As many of our readers will be quick to point out, the concept of a pardon is a bit strange, seeing that Turing did nothing wrong. But the willingness of the government to effectively nullify the conviction and reject an archaic law is a welcomed piece of news. It’s the British government that wants pardoning. And who is there to pardon such an outrageous crime? Do the other 48,999 who were convicted also get a pardon? Just one more tragic episode in history. This “pardon” does nothing to amend the fact that the life of a brilliant man was taken in the name of bigotry and stupidity.When will we ever learn? Last year the band from Barcelona, HIDROGENESSE, released an album focused on Turing and his fatal end. The first song “Un beso” starts saying “the Goverment asks for forgiveness” The whole album is a masterpiece, by the way. Wait a minute. THEY are going to pardon HIM? Don’t we have things backwards? How many of them would even have been alive to condemn him were it not for his brilliant work in cracking the Nazi code. “Indecent acts”? Sorry, that silliness should have evaporated long before they ruined the life of Oscar Wilde? Do you want to know what an “Indecent Act” is? Go look at Wilde’s trial or the trial of this second genius.